If you are looking for Vaccines for Children compliant monitoring solutions, our DicksonOne enabled units offer this and more. 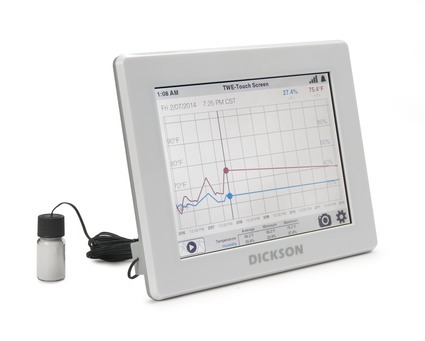 When you purchase a VFC bundle, Dickson’s quality touchscreen will come ready with our glycol thermistor sensor and a 1-Point NIST calibration making it easy to comply with VFC requirements. This Vaccine's for Children bundle includes the TWE, RTHM, and N100. To view product specifications, please click on the product links above.